The Light Package is the solution for hotels which like to begin with revenue management. It package is ideal for small hotels interested in implementing a revenue management strategy and light consulting. With the Pro Package, your hotel will be perfect its online presence. Our Channel Manager allows you to change prices at all selling points with just one click. Pro Package is ideal for hotels wanting a strong impact on revenue with daily yelds. The Premium Package is our full revenue management solution. It is designed for hotels wanting to reclaim control over online and offline sales. With 6 revenue meetings per year, our customized hotel website, integration of a channel manager and the high end Web Booking Engine your hotel will be ready for the future. Why should my hotel use a SHC package? 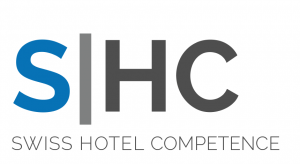 What can SHC doing for your hotel business? We know hotels pay a huge amount to online booking platforms each month. 70% of hospitality customers visit on its digital journey the official hotel website prior to booking, which is where it crucial catches the customer with our SHC strategy and make them to direct bookers. On top, with our individual price strategy we fill your hotel with guests who pay the best price on its day. Less commission costs, more direct bookings and total higher revenue is what we can. Which package is the right for my hotel? Each hotel is individual. We recommend you to make first a meeting with us. Some of our SHC Team will help you to evaluate the right solutions for your business claim. It is depends on your size of hotel, average room rate and already existing use of technology. I just invest into a new hotel website. Can I still start with SHC revenue manamenegt? Yes, of course. We like it when your hotel has already a newly customized hotel website. It also means you keep control of your direct online sales. We simply add our high-end web booking engine to your website and allow it to function as selling machine with 0% commission for you. First you have to meet with a member of our SHC Team to see which solution is ideal for your hotel. Once the strategy is created and the technology works smoothly, you’ll pay in advance each month for your selected package. How do I exit a collaboration with SHC? Don’t worry; we want all our customers to be happy. If you aren’t completely satisfied with SHC and prefer the old, traditional way, we ensure cancellation is easy. We only require three months notice. So, there is no risk for your hotel business.